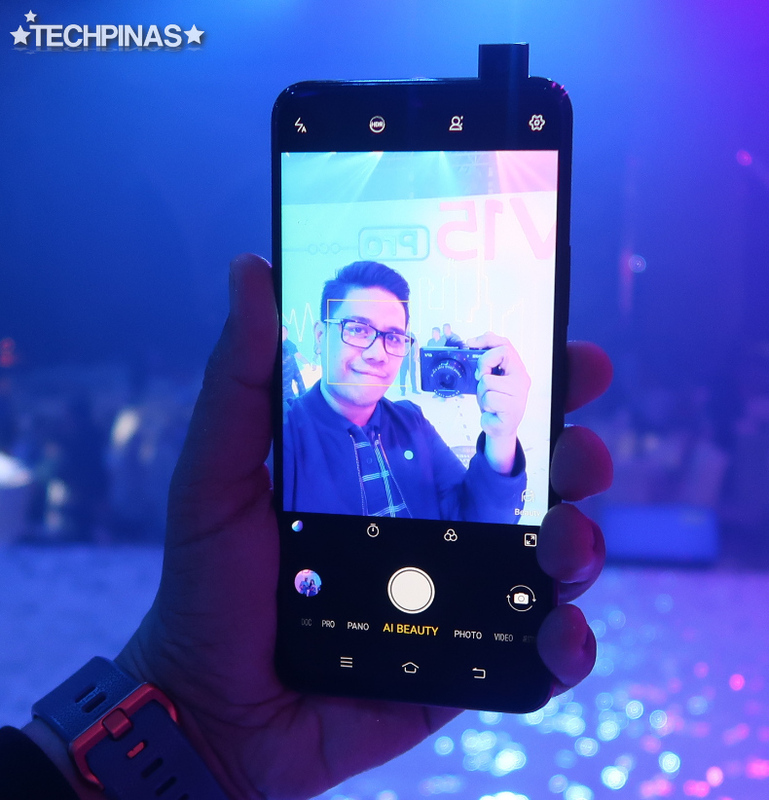 Last Wednesday - March 20, 2019 - at the Grand Ballroom of Shangri-La Bonifacio Global City, tech giant Vivo Mobile officially launched its two new hero Android smartphones for the Philippines. 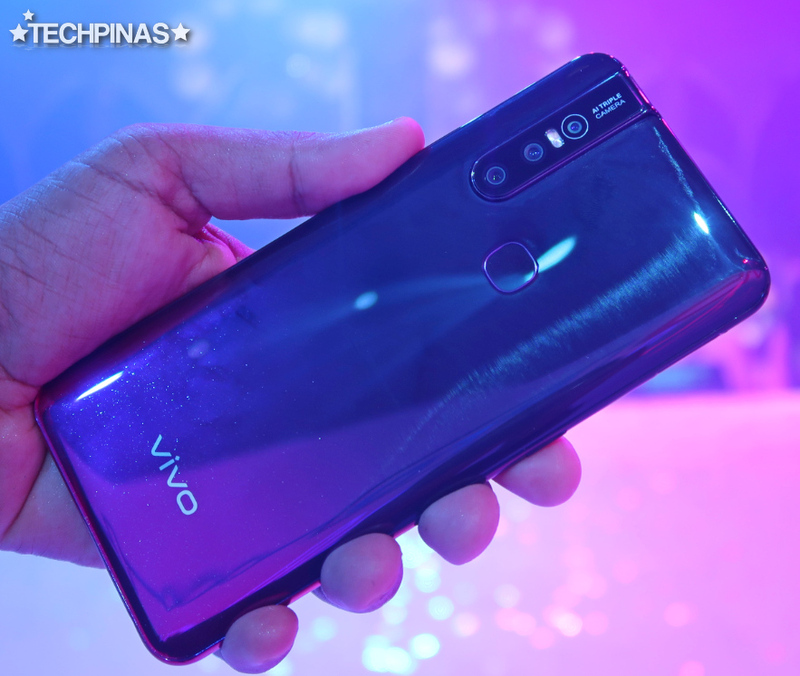 Featuring more powerful internal hardware, a more brilliant display, and an on-screen Fingerprint Scanner, Vivo V15 Pro is the more expensive model of the two. 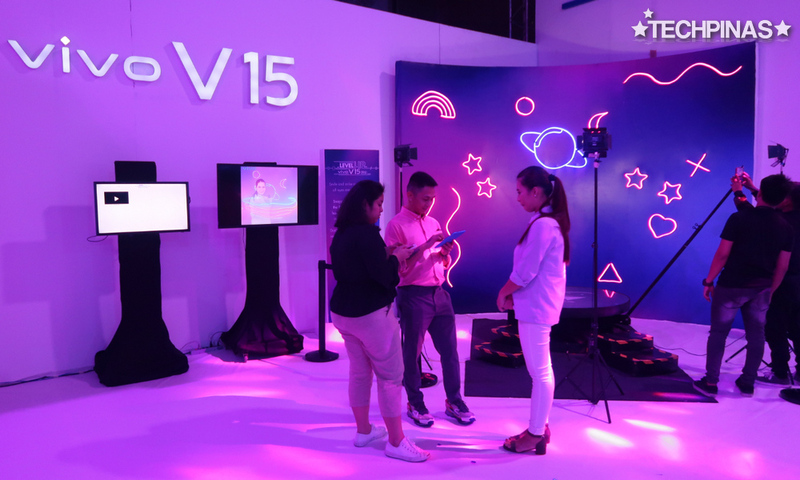 On the other hand, Vivo V15 - which I'll talk about in this post - has a more accessible price tag all while having technical specifications that will still delight many consumers, including avid gamers and budding mobile photographers. One of the most attractive features of the all-new Vivo V15 would have to be its near-bezel-less 6.53-inch Ultra FullView FullHD+ IPS display, which doesn't have a notch. As you all know, although it has become quite a novelty feature on today's smartphones, the notch remains to be a polarizing display element among many consumers. Some like it and some hate it with a passion -- because it takes away from the visual experience instead of enhancing it. 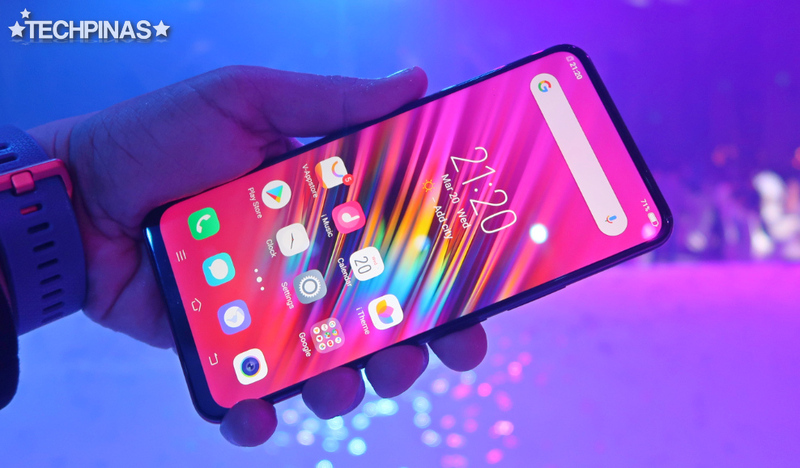 Vivo has obviously listened to the thoughts of its millions of fans across the world about the notch and has come up with a brilliant solution to remove it altogether and make the face of the Vivo V15 Pro and Vivo V15 truly all-screen. The "fix" came in the form of an elevating mechanism that houses the front-facing 32 MegaPixel AI-Beauty-powered camera, which is one the highest resolution selfie snappers in the market today. This motorized hardware element that's currently unique to Vivo NEX, Apex, V15, and Vivo V15 Pro, allowed the company skip the use of a display notch, which would have housed the front-shooter. For those who are worried about the durability this module, Vivo Mobile said that all of their phones have to pass strict quality standards, including stress tests. In fact, I noticed that when you apply pressure to the protruding camera while it's up, it will automatically depress to prevent cracking or damage. 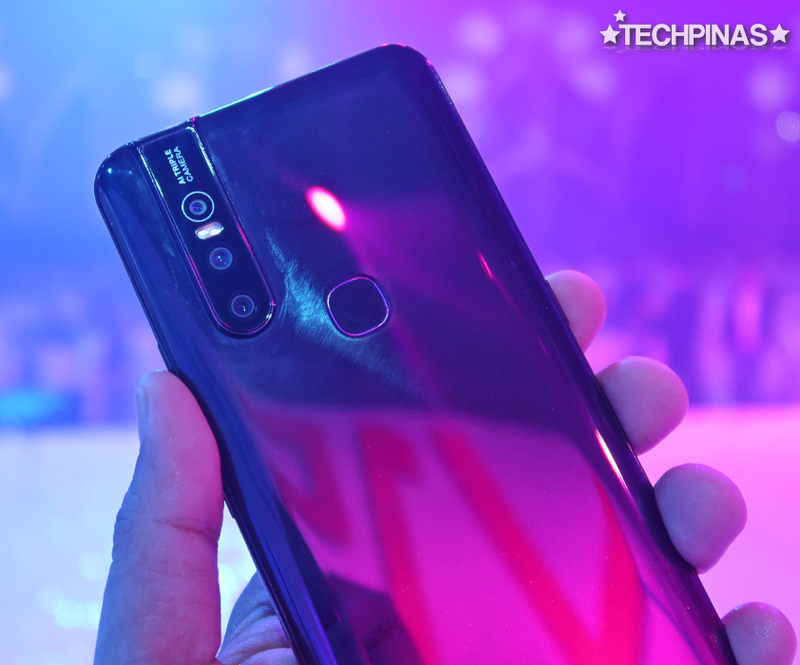 Another key selling point of the Vivo V15, which is also present on the more pricey Vivo V15 Pro, is its Triple Rear Camera module made up of a 12 MegaPixel f/1.8 Primary Cam with Phase Detection AutoFocus, Secondary 8 MegaPixel f/2.2 Cam with 13mm Ultra-Wide Lens, and a Tertiary 5 MegaPixel f/2.4 Depth Sensor. The primary shooter, with its wide aperture and enhanced AI capabilities, is capable of delivering clear, crisp, and vibrant images in various lighting conditions and when shooting different subjects. In fact, one imaging feature that was highlighted during the launch event was the main cam's greatly improved low light performance, which is something that Vivo Mobile is continuously enhancing with every fresh handset release. Having a ultra-wide-angle lens, the secondary snapper is ideal for taking landscape photos as well as group shots. No need to take several steps back just to be able to capture more of the scene that's in front of you. And finally, the Depth Sensor enables Portrait Mode, which lets you add a beautiful blurred background effect whenever you are taking photos of people and even food. This effect mimics what professional photographers call "Bokeh" which they usually achieve by using a prime lens with wide aperture. 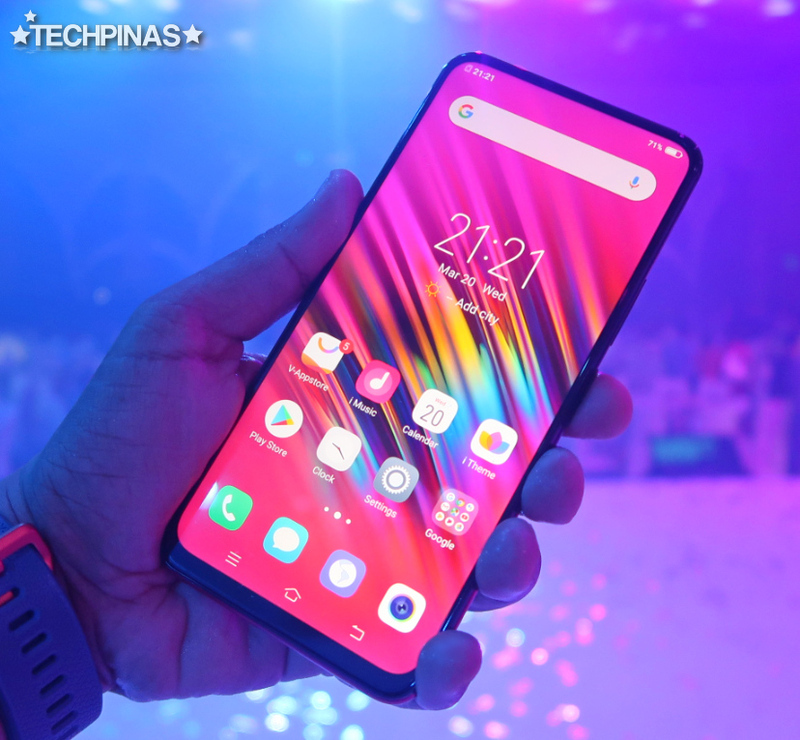 Inside its sleek and high-gloss shell, the Vivo V15 runs its Funtouch OS 9 skinned Android 9.0 Pie operating system with a fairly powerful and very energy-efficient MediaTek Helio P70 processor that's definitely capable of giving you a smooth gaming experience with its integrated Mali-G72 MP3 GPU. This handset can go through Mobile Legends Bang Bang or PUBG Mobile like warm knife through butter, no stuttering whatsoever. The above-mentioned chipset is complemented by 6GB of RAM and 128GB of ROM, both of which are a real treat on a 2019 mid-level Android smartphone, especially one in this price bracket. The 6GB of RAM allows this model to deliver smooth multitasking experience while the 128GB of internal storage that can even be expanded using the microSD card slot provides ample space for many photos, videos, games, and other large files. If you hate always plugging your smartphone to a powerbank or an electrical outlet in the middle of the day just to make sure that it will have enough juice to last until your drive home in the evening, you will be delighted to know that Vivo V15 has a large 4,000 mAh Li-Po battery pack that works alongside the energy-efficient Helio P70 chip to deliver at least a whole day of uptime with regular use. In comparison, many midrange handsets these days only have around 3,000 to 3,500 mAh battery capacity. 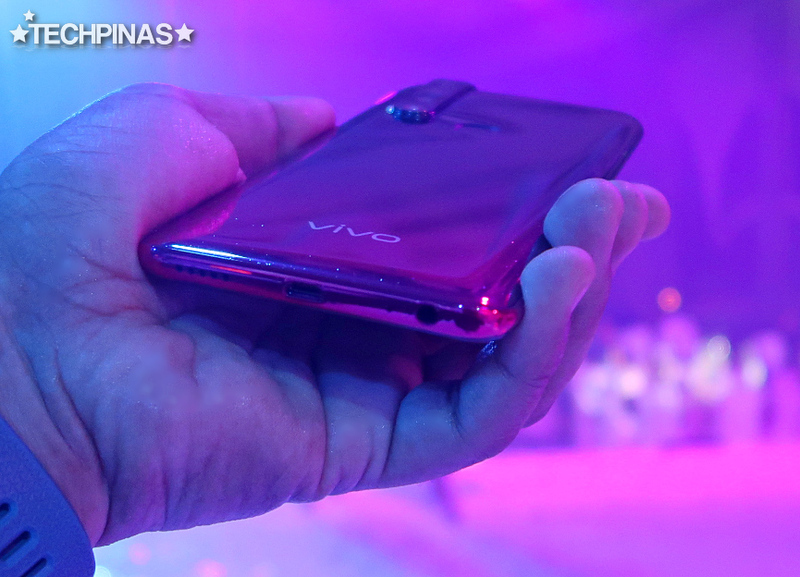 Now, for security and privacy, Vivo V15 features a Fingerprint Scanner at the back that can add veritable layer of protection against those who want to check the photos, messages, apps, and videos on your smartphone without your permission. To wrap up, I'd say that one of the most magnetic qualities of the Vivo V15 - for me - is its ultra handsome design identity. I got to play with the Glamour Red version during the launch and I was instantly smitten by its smothering hot finish and premium feel in the hand. I think it even has an iridescent glow that changes hues depending on how light hits it. It's definitely something that you have to see in the flesh to appreciate. Interested? Donning an affordable price tag of PHP 17,999, Vivo V15 will be up for pre-order starting today - March 21 - until March 29, 2019. Those who will successfully sign up for a unit will get exclusive and exciting freebies including Bluetooth Speaker, Premium NBA Smartphone Case, and Extended Warranty.